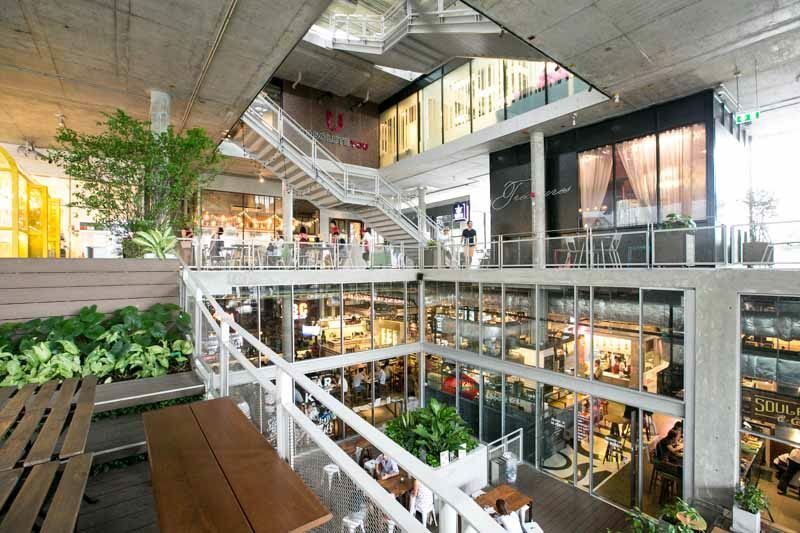 The Commons’ outlay, architectural design and shops follow an industrial theme very suited to tastes that the affluent youth are more inclined toward — hence the term: hipster eating ground. The alley leading up to it shows no sign that there could even be such a “gentrified” looking building located there. 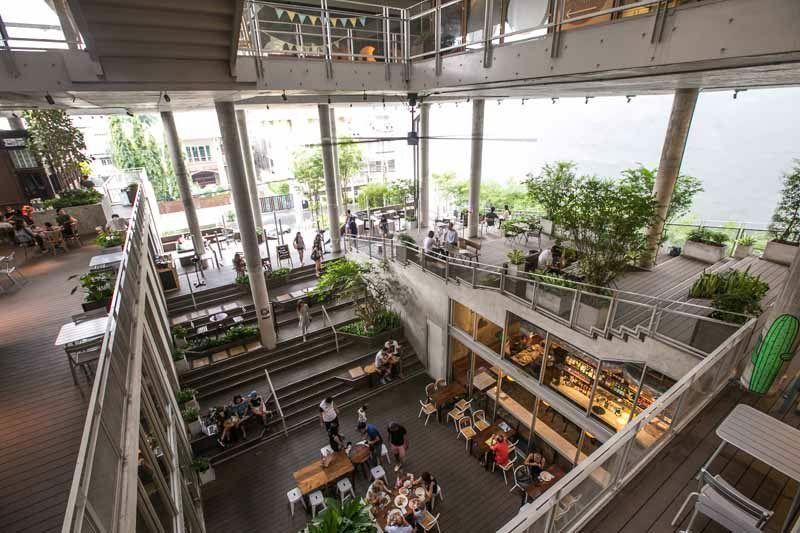 But, that’s what the people at The Commons want to achieve: to be Thonglor’s backyard; a place in the neighbourhood for people to congregate and spend quality time at. Instead of numbering the floors, each level has specific hipster names like Market, Village, Play Yard, and Top Yard. If you want to explore the place, there are no escalators to assist you. But hey, that’s good because you’re going to need some form of exercise to rid of food babies you’re sure to gain here. Roast is on the highest floor of The Commons, with the entire floor open to Roast’s patrons to lounge about. It’s a long walk up, but trust me it’s all worth the searing thigh burn. 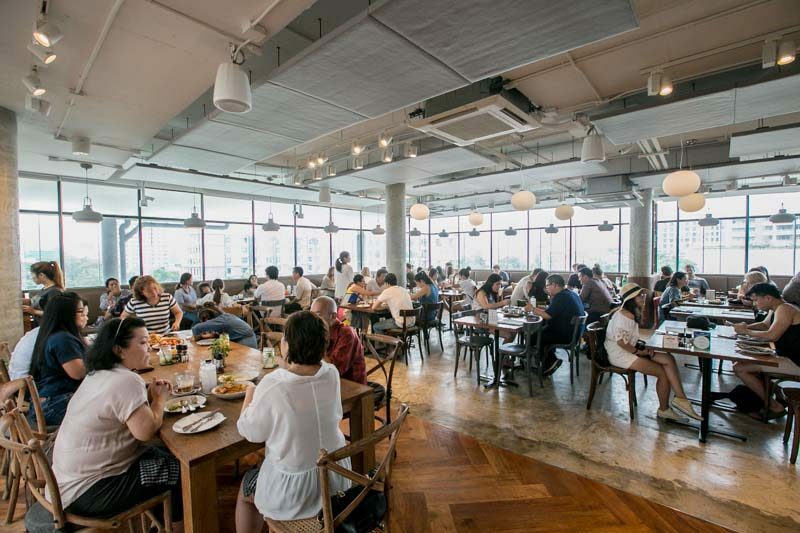 Its interior makes a great space for large and small groups alike with huge tables that have ample space between one another. 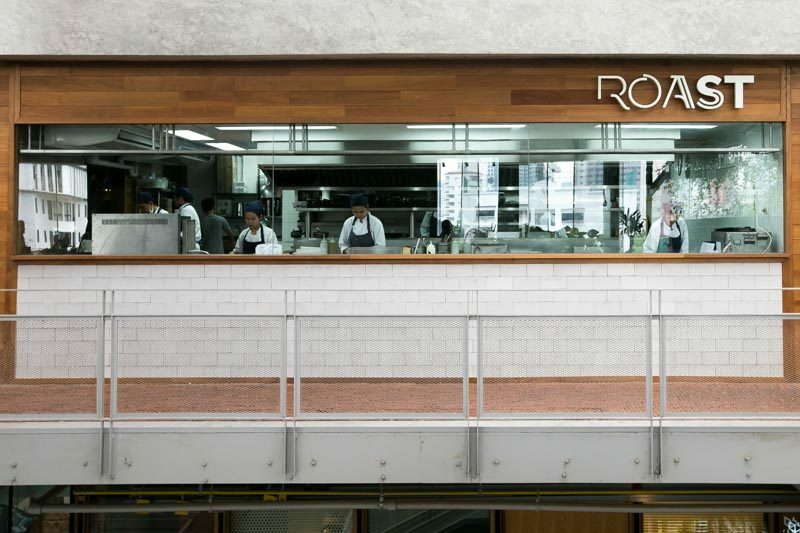 Roast’s Truffle Alfredo (280 THB) got me standing up and slow clapping in a restaurant full of people, and you know what? I didn’t feel the slightest hint of embarrassment (can’t say the same for my dining partners, though) because THAT is how good their Truffle Alfredo is. Homemade Tagliatelle, the thinnest pasta I’ve ever consumed, is so fine and delectably soft in the rich truffle cheese cream concoction. 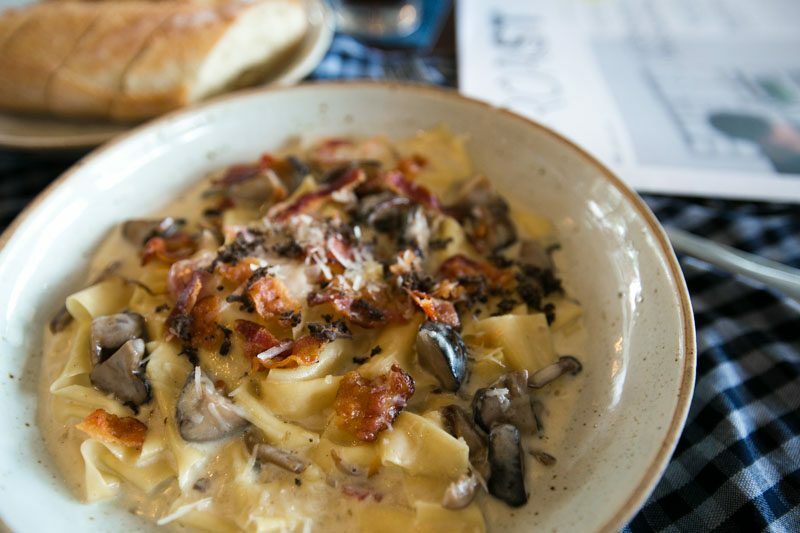 Accompanying the silky pasta is both boiled and crispy bacon, along with mushrooms. This was the best pasta I’ve ever had, and even Seth says that it’s one of the best. 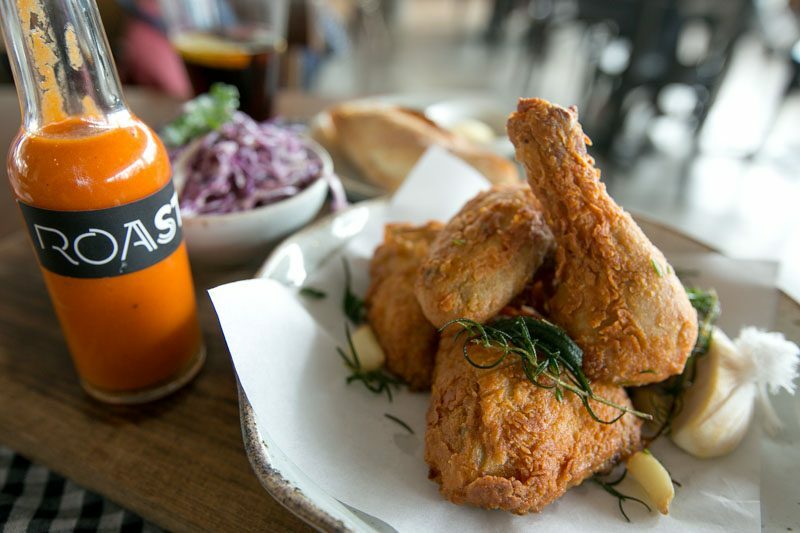 Slow Roasted Fried Chicken (480 THB) sounded extremely good because we had an inexplicable craving for fried chicken, and come on it’s been roasted for 48 hours. Who can resist that? However, it was less amazing than we had anticipated. The chicken batter could have been better (haha) with more seasoning. But, I will give props to the tenderness of the chicken and how the meat slides off the bone so easily. Roast has many other amazing gastronomic delights, like the the Vodka Arrabatia (450 THB) which I swear I will return to try. If you get the chance to try it before I do, tell me how it is! 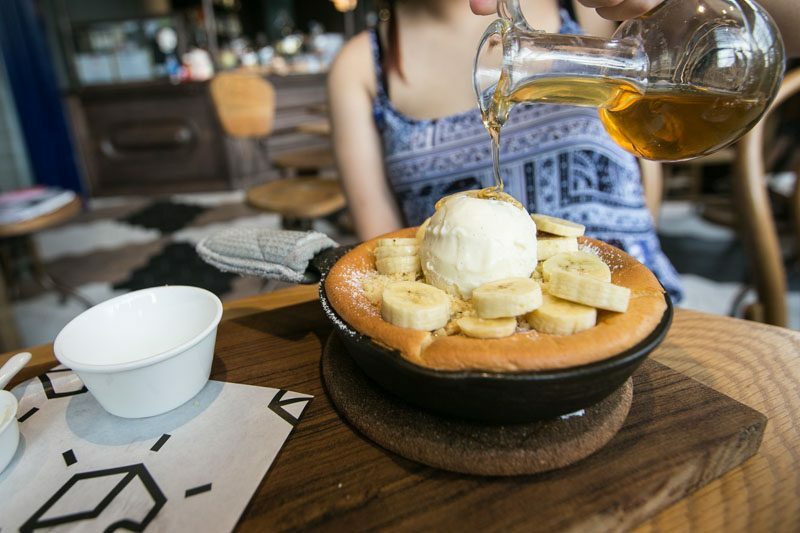 BRIX dessert bar believes in indulgence and stress relief through the medium of desserts. 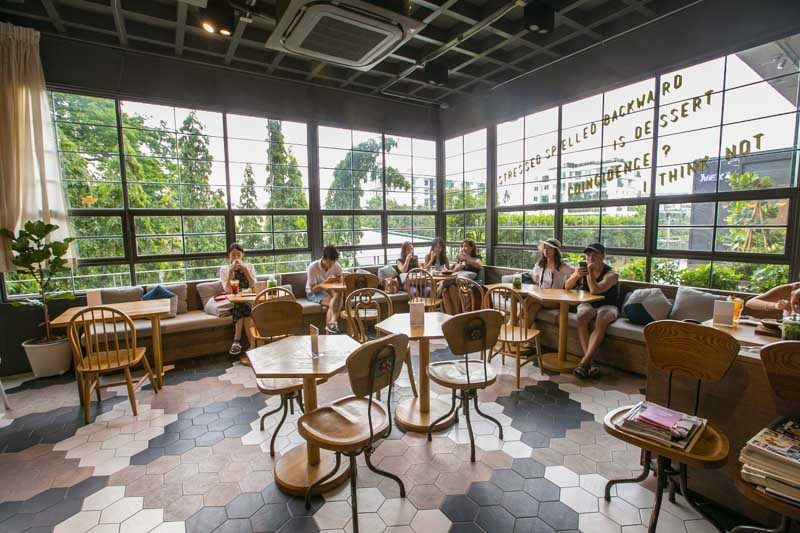 With tall glass panels making up its borders, the sunlight pouring into this pseudo-cafe sets an environment for a relaxing afternoon of lounging and jolly face-stuffing. Hotto Keiki (270 THB), which, just throwing a wild guess here, refers to Hot Cakes. And this is probably the hottest cake in Thong Lor, guys. 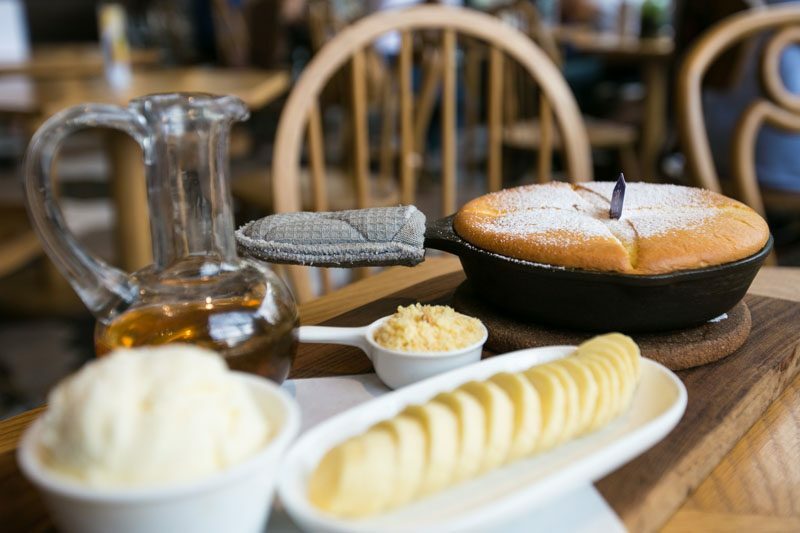 Served in an iron skillet, the souffle sour cream pancake comes in a beautifully puffy form with a side of honey, crumble, banana, and vanilla ice cream. The best way to eat this is to first drench the entire hotcake base with honey (don’t worry they give you A LOT of honey), pile everything on, and then finish off with another generous drizzle of honey. The hotcake itself is so fluffy (I’m gonna die) and soft, albeit having a slightly eggy taste, and when you have this warm delight together with the ice cream, honey, bananas and crumble, it makes for a great afternoon dessert. 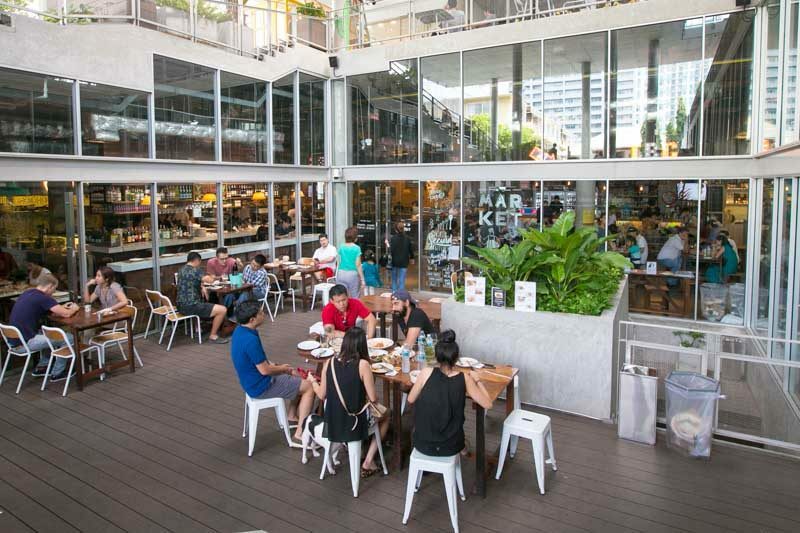 The Market, located on the ground floor of The Commons, is a collective space of food and drinks set in a rustic hipster environment. 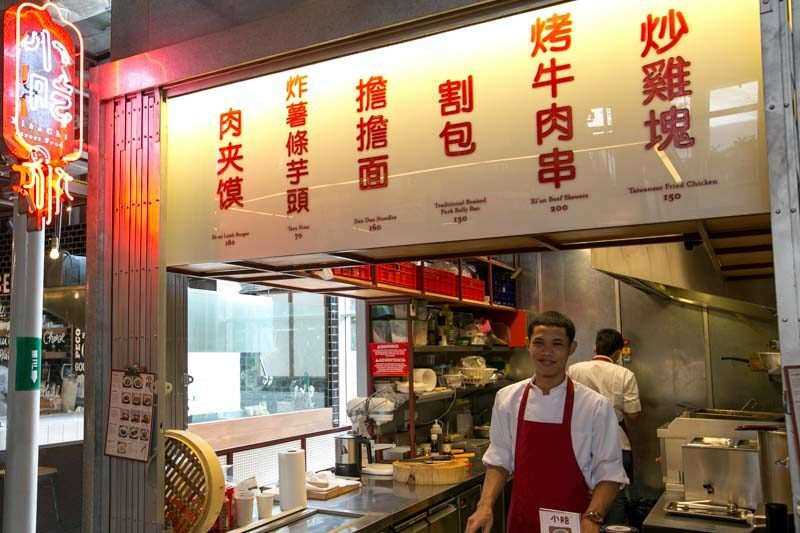 Order whatever you want from any store, grab a seat anywhere and enjoy all the wondrous foods that The Market has to offer. 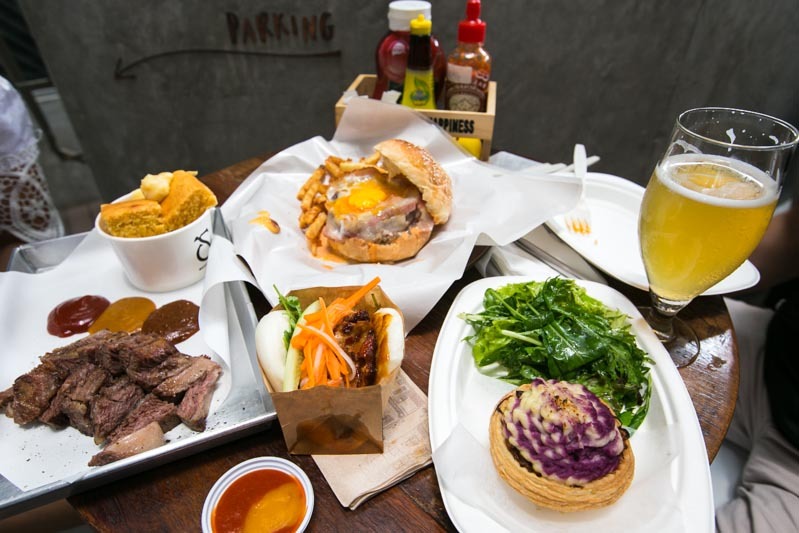 Seeing as to how there are just too many food and beverage options available to select from, we’ve narrowed it down to the few places we feel you just should not miss out on. Have fun exploring The Market while hunting these stalls down! 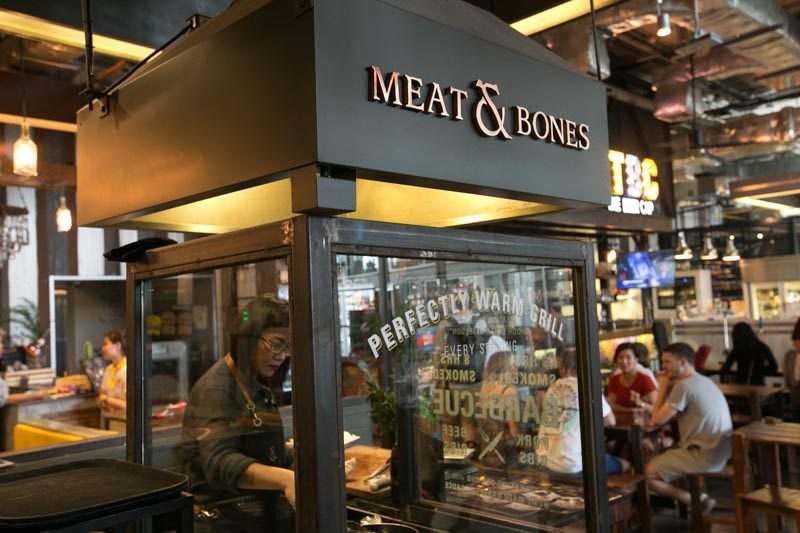 Meat & Bones wants to remind everyone that bones are essential to the flavours of the meat, and keep in mind to cook their meats with their bones still attached. They put heavy emphasis on slow cooking to provide quintessentially flavoured meats, which also helped in retaining its juiciness. We ordered the store’s 200g Barbecue Beef Ribs (530 THB), which has been smoked for eight hours and sliced off the bone right before serving. 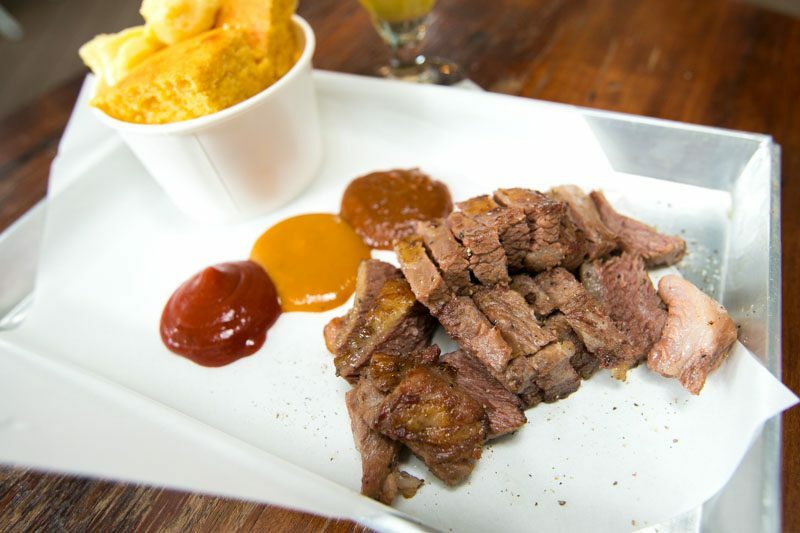 Meat & Bones truly managed to encapsulate all essence of the beef with melted fatty layers between meat and bone, along with strong beefy flavours permeating each tender chewy bite. It comes with a choice of winter slaw/coleslaw, but we decided to add 20 THB for cornbread, which is surprisingly sweet, soft and was a nice contrasting balance to the heavy beef. I know, I know, I shouldn’t be eating Chinese food while in Thailand, but these guys cook up some pretty legit xiao chi (small snacks) that are perfect for sharing. 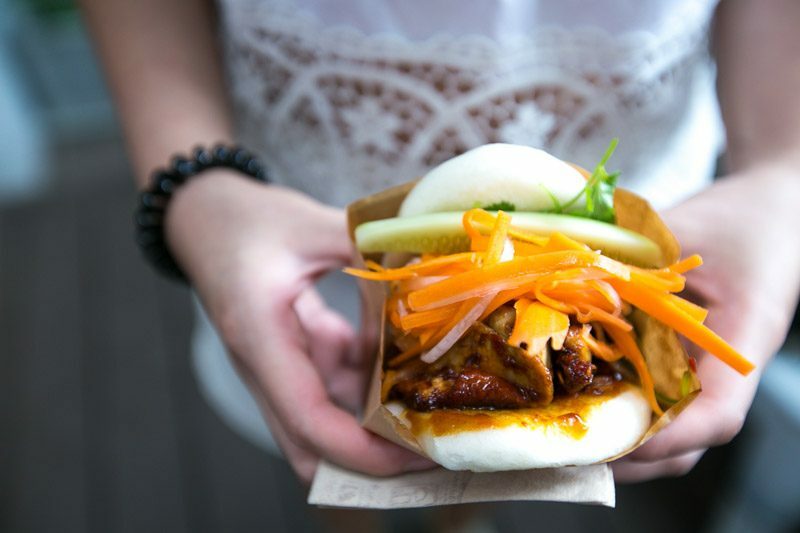 Amongst the list of noodles, dumplings and meat dishes, the things that called out to us most were their Signature baos. We ordered the Duck Bao (160 THB). Despite looking quite small in their menu, it was actually quite sizeable and slightly difficult to fit into our mouths. I expected heavy flavours out of this xiao chi, but I was pleasantly surprised to find that the bao left a light, clean and refreshing taste in my mouth, which, I assume came from the juicy crunch of the slightly pickled carrots and cucumbers. 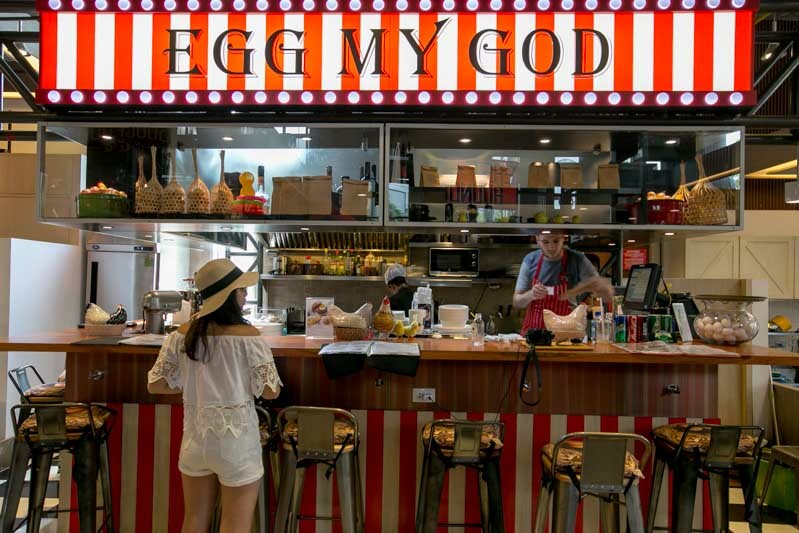 Everything from side dishes to main dishes on Egg My God’s menu has, you guessed it, eggs. Egg lovers, it doesn’t get as eggciting as this. 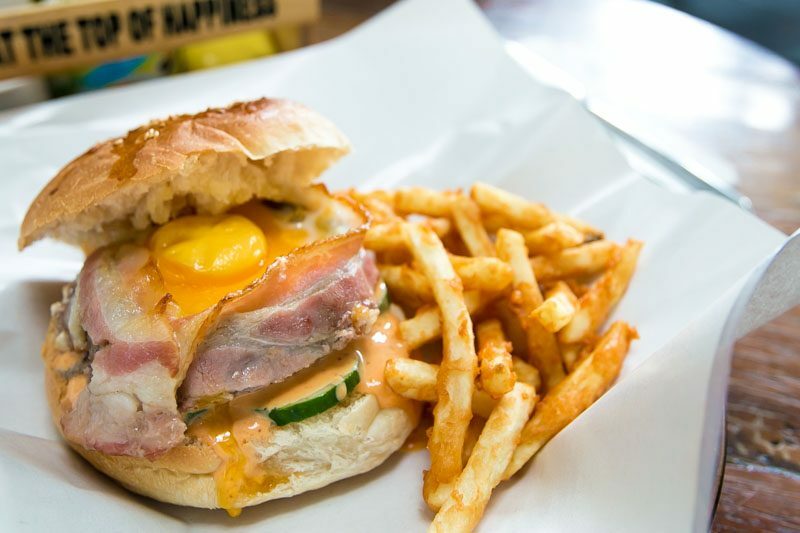 EMG Burger (395 THB) has a juicy minced beef patty blanketed by melted bruyere and cheddar cheese, wrapped with soft bacon, then topped off with jalapeno and an egg served with tangy mayo. It was a burst of flavours and textures. On the side, fries deep fried in batter to give an extra layer of crunch on top of its original crisp. 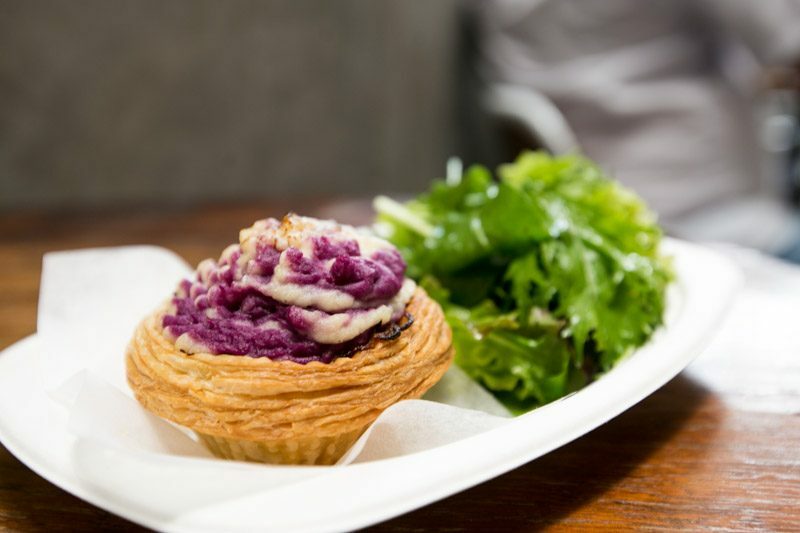 Holy Moly, located at the tail of The Market, serves up the most sinful, buttery and crispy tarts. They’ve got both sweet and savoury tarts in sizes small and large. Bangers & Mash (135 THB) is essentially an Italian sausage and mash reinvented into a bite-sized pie. 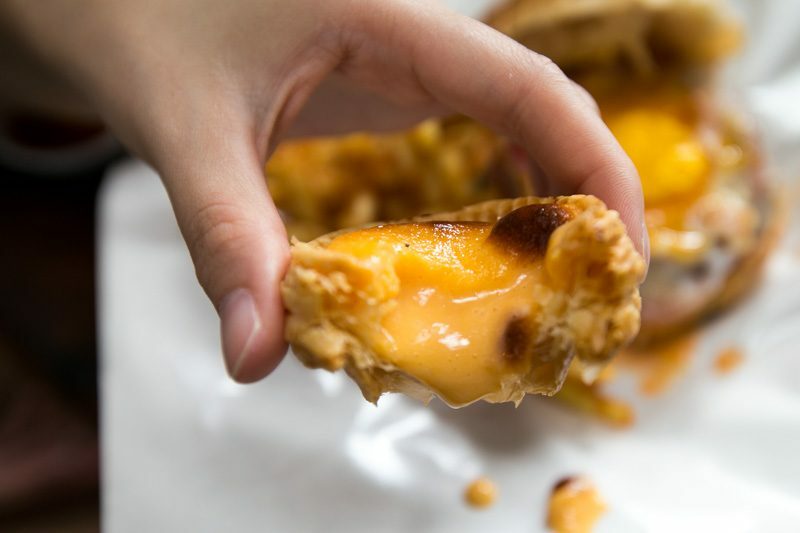 With light and fluffily crispy pastry holding in this juicy mashed delight, one bite out of it makes it an explosive sensation of mushy savoury flavours. The Holy Yolky (50 THB), torched at top for an added charred taste, envelopes an explosive golden liquid salted egg yolk custard, so do be careful when biting into it. For less of a mess, pop the entire thing in your mouth and keep all that golden goodness inside! It might be a tad too sweet for some, but I love it. If you’re searching for alcoholic beverages, The Market has The Beer Cap at your disposal. 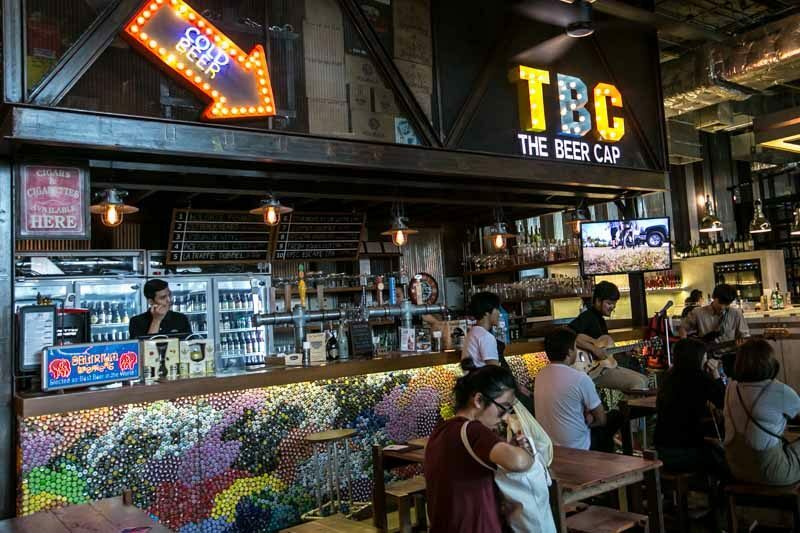 With both bottled beer, including hipster craft beers, and beer on tap, it’s a beer gold mine for beer enthusiasts. There’s even the occasional live band that performs here to enjoy while sipping on your brews. 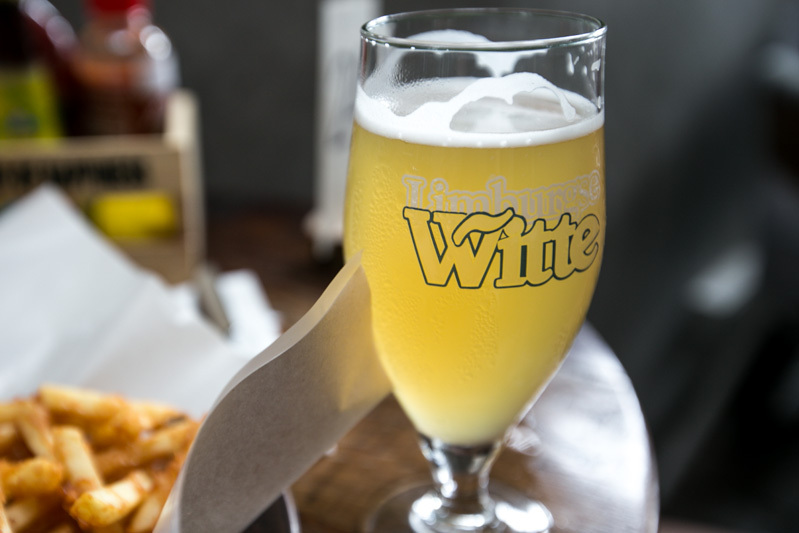 The Limburgse Witte (165 THB/ half pint) is thoroughly refreshing and light to have, a perfect beer to have whilst dining at the al fresco area of The Market and eating a large variety of small foods. Its slightly sweet and bubbly character with a floral aroma is a great refresher in the Bangkok heat. 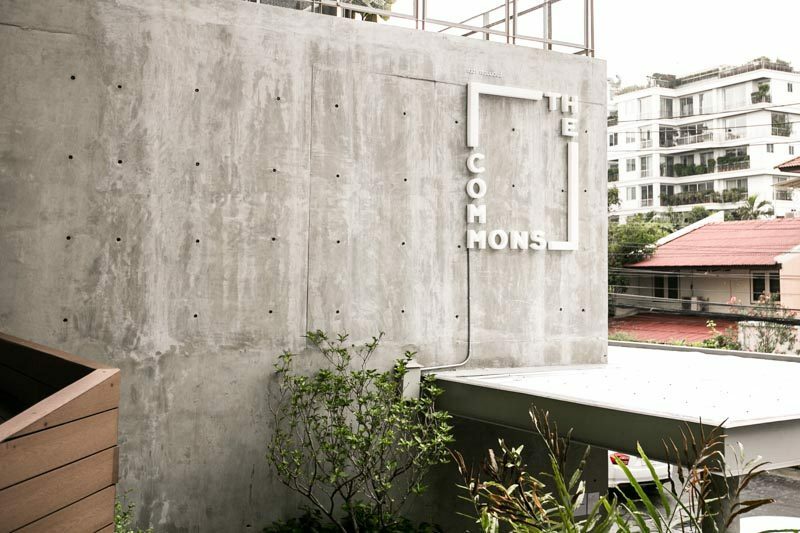 Amazingly, this isn’t all that The Commons has to offer, from dessert cafes to restaurants, The Commons is a place every foodie needs to visit while travelling in Bangkok if their looking for a new age hipster eating ground.